2018 Subaru Impreza for sale at Subaru of Orillia! Amazing condition, at a great price! 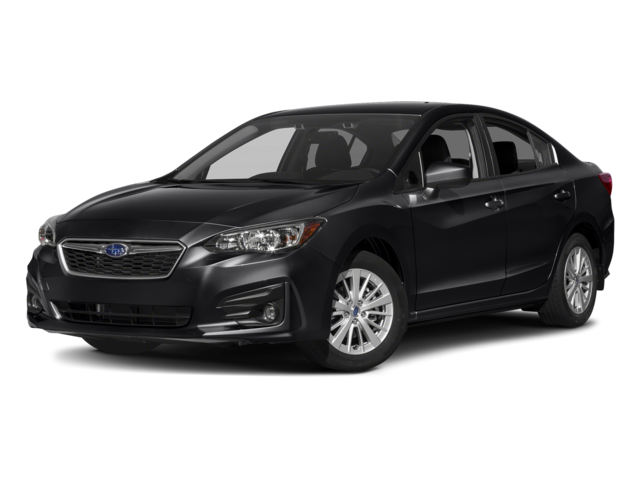 5Dr Sport-Tech CVT Crystal Black Silica SUBARU OF ORILLIA EXCLUSIVE: This vehicle includes our Lifetime Engine Warranty at no additional charge! EASY TO UNDERSTAND PRICING: SUBARU OF ORILLIA prices include everything except for applicable taxes and licensing. We make it easy to understand the price you see on this vehicle. No Hidden Fees! SUBARU OF ORILLIA VEHICLES INCLUDE: Fully detailed and a full tank of gas when you pick up your vehicle. SUBARU OF ORILLIA DIFFERENCE: As a member of the Plaza Auto Group (family owned since 1956) SUBARU OF ORILLIA has the buying power and inventory support of 5 dealerships allowing us to offer the best prices on our complete inventory and access to hundreds of vehicles every day! If you cannot find the vehicle you want in-stock, we can find it for you! NEW CAR WARRANTY: New SUBARU Vehicles Include a New Vehicle Limited Warranty (36-month / 60,000-km); Major Component Warranty (60-month / 100,000-km); Surface Corrosion Limited Warranty (36-month / 60,000-km); Anti-Perforation Limited Warranty (60-month / unlimited-km); Emission Control System Limited Warranty (36-month / 60,000-km); Emissions Performance Warranty (36-month / 60,000-km); Extended Emissions System Warranty (96-month / 130,000-km). For more information visit https://www.subaruoforillia.com/new-vehicle-warranty.html FINANCING: Special SUBARU Incentive Rates May Apply! Good credit, bad credit, no credit or new to the country, we have financing available to put you in the driver's seat of this vehicle. We'll help to get you APPROVED! Low Finance rates available on approved credit. SUBARU SPECIAL OFFERS: Do you qualify for extra rebates and incentives? Ask us about the Subaru Athlete, Participant and Member rebates that may apply, saving you up to an additional $750 on your new Subaru purchase (terms and conditions apply). TRADE-INS: We pay Top Dollar for your trade-in. We will even pay cash for your vehicle! *While every reasonable effort is made to ensure the accuracy of this information, we are not responsible for any errors or omissions contained on these pages. Terms and conditions apply for Lifetime Engine Warranty, rebate/incentive offers, and finance/lease offers. Advertised Dealer Price is based on a cash purchase and can be financed with prime rate program unless stated otherwise. Please verify any information with SUBARU OF ORILLIA. For Over 60 years, it's not a deal unless it's a Plaza Deal! Even though we take reasonable precautions to ensure that the information provided is accurate and up to date, we are not responsible for any errors or omissions. Please verify all information directly with Subaru of Orillia to ensure its exactitude.